What’s the secret year-end strategy of leading real estate agents? These are real statements from real agents. 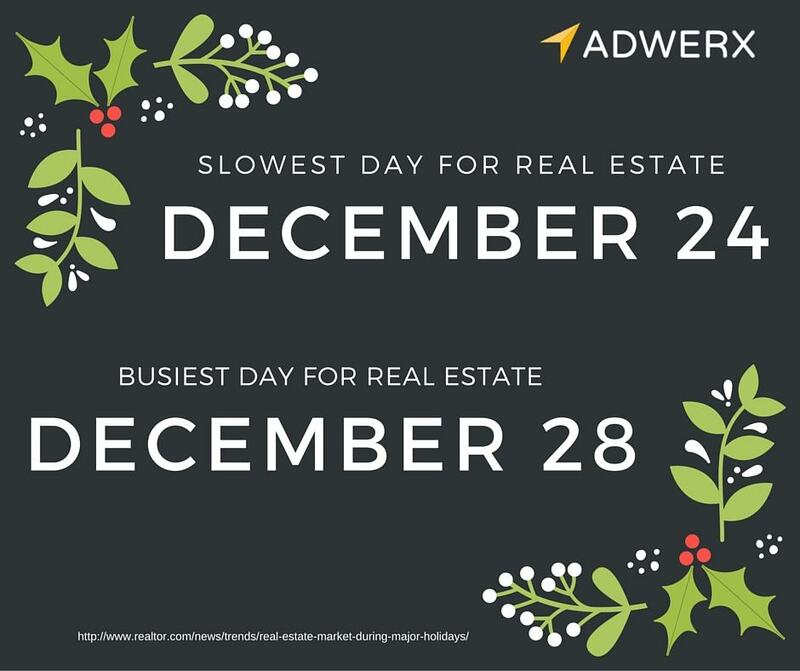 And while they are correct about the seasonal ebb and flow of the real estate market, they aren’t correct in thinking their own marketing efforts should follow it. The real estate market is quieting down, but you shouldn’t be. Anyone who is considering selling their home after the holidays is starting to do research on contractors and moving companies right now. Anyone who is thinking about buying a home in the spring 2016 is already looking at properties or using mortgage calculator sites right now. And they should all be seeing your real estate ad. This is about creating brand awareness. And brand awareness takes time percolate, as one real estate insider told us. So if you plan to wait until the new year gets rolling to start building up that awareness, you’ll have lost precious time. 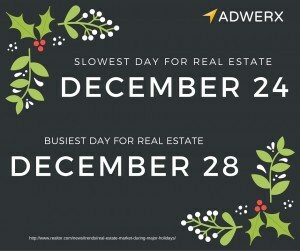 Time that isn’t too crowded in the market, since many agents do decide to go quiet. You have more chance to cut through the noise. Winter 2015 is the exact right time to be running brand ads for your real estate business. Because your potential clients will start seeing you everywhere — on news web sites likes the Yahoo! or CNN. On sports sites and on Facebook. Consumers will be online en force this December with holiday shopping, price comparisons and the like. You’ll become familiar — and familiarity breeds trust. That familiarity is built by staying strong in your marketing efforts. Stay in front of your sphere with cards, holiday open houses and social media. 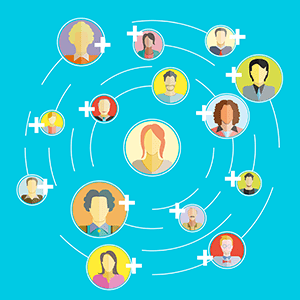 Build up that familiarity with prospective clients in your ZIP codes with targeted digital ads. Support your fellow agents with referrals and thank you cards for a great year. We can’t wait to see how you do!